English Grammar basically is a set of rules to speak and write in English. These set of rules generally consist of topics like different parts of speech, tenses, etc. A sentence can be grammatically correct only if these set of rules have been rightly followed.You can use Multibhashi app to get a better understanding of English Grammar. Grammar helps us in framing a sentence correctly. For example, if a sentence is telling us about something which happened in the past, the rules for writing it will be different as compared to those for something which happened in the present or future. Noun is basically the name of all the living and non-living things in the Universe. Any person, place, thing, animal, etc. are considered as Nouns. Nouns can be singular as well as plural. Nouns can also be segregated on the basis of genders. They are masculine, feminine, common and neuter. Eg :- Girl, Toys, Book, Annie, Computer, Cow, Delhi, etc. In English Grammar, Verbs are basically describing the action words like sleeping, eating, crying, etc. Whatever actions we do are stated as verbs. These actions can be physical, mental, and the actions related to the state of being. There are various types of verbs like transitive, intransitive, dynamic, static, linking and auxiliary verbs. Eg : sleep, eat, cry, laugh, move, appear, is , etc. Some words give additional information about the nouns. That means they describe the nouns more specifically. These words are known as adjectives. For example, I have a black dress. Here, “black” is describing the dress. Hence, “black” is an adjective which is an important chapter under English Grammar. Adverbs like adjectives are also describing words but the basic difference is that the adverbs mainly describe or specify verbs. In any sentence, whenever a noun or a pronoun are connected to a verb or an adjective, the connecting words are referred to as prepositions. Prepositions act as a link between noun or pronoun and verb or adjective. Ex:- Tina went swims in the pool. Here, ‘swims’ is a verb and‘pool’ is a noun and both are connected by the preposition ‘in’. To make the sentences, phrases or clauses separate from each other so that they can be more meaningful and specific, some marks are used between them. These set of marks are known as Punctuation marks. There are sentences where the verbs particularly describe or specify the attitude. This attitude can be a certainty willingness, surety, necessity, obligation, possibility etc. Tenses of verbs basically refer to the time at which anything occurred. It could have occurred previously. It could be occurring now. It may occur later on. Mainly, there are three basic tenses of verbs in English Grammar. Example:- Ali went to school. Here, the sentence is in past tense as ‘went’ is a past tense verb. Ali is going to school. Here, the sentence is in present tense as ‘going’ is a present tense verb. Ali will go to school. Here, the sentence will in future tense as ‘will go’ is a future tense verb. Other tenses: Past tense, Present tense and Future tense. When a sentence starts with the one who performs an action i.e. the Subject, it is said to be in Active voice. Eg: I washed my clothes. However, if the sentence starts with the one who/which is affected by the action i.e. the Object, it is said to be in passive voice. Whenever the exact spoken words are written in a sentence, it is a direct speech. Exact words are written in double inverted commas (“ “) so that it cannot be changed. On the contrary, in the indirect speech, words are not exact. Hence, it is considered in past. Therefore, tense is changed. Double inverted commas are not used but conjunction “that” is used in indirect speech. “It’s” means it is whereas “its” means belonging to it. In the given sentence, tail belongs to the dog. Hence, “its” will be used rather than “it’s”. “excepted” means excluding from the category whereas “accepted” means receiving. Here, “excepted” doesn’t make any sense to the sentence. “Did” is already in past tense. Hence, the verb used should be in present tense. Therefore, “play” is correct. Start learning from the most basic concepts like “How to frame a simple sentence” and then move on to higher concepts. Try to internalise this one concept by getting obsessed with it. Make as many examples as you can for this and once you are fairly confident, move on to the next one. Write on a daily basis: Maintain a strict discipline of writing at least one paragraph every day. It could be related to what you did that day or an imaginary story, etc. but you must pen down your original thoughts every day and share it with someone you think has good communication skills in English. This person can give you feedback on what type of grammatical mistakes you are committing and then you can work on them. 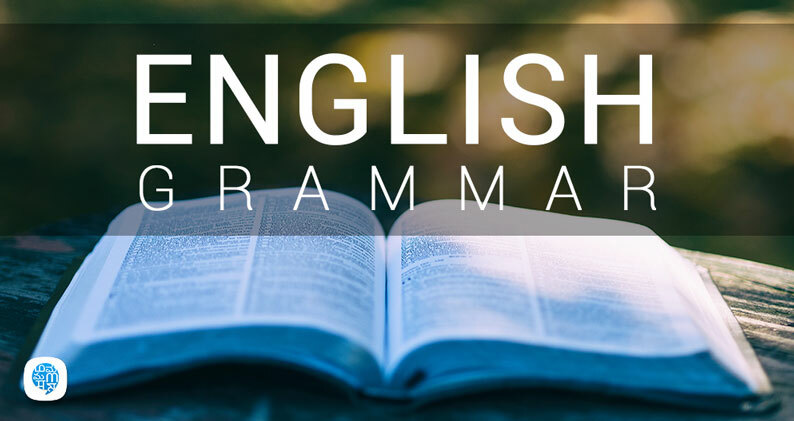 Indulge in some interesting reading activity on a daily basis and make sure you are focusing on the grammatical constructs in the composition. For example. even if you are just reading a news article, observe whether the sentence is in active voice or passive; whether it is is in present tense or past. This way, you will start improving your own writing compositions which help in understanding English Grammar.